On September 12th 2012, the Dark Energy Camera (DECam) achieved first light. DECam will capture 300 million images of galaxies as part of the Dark Energy Survey. 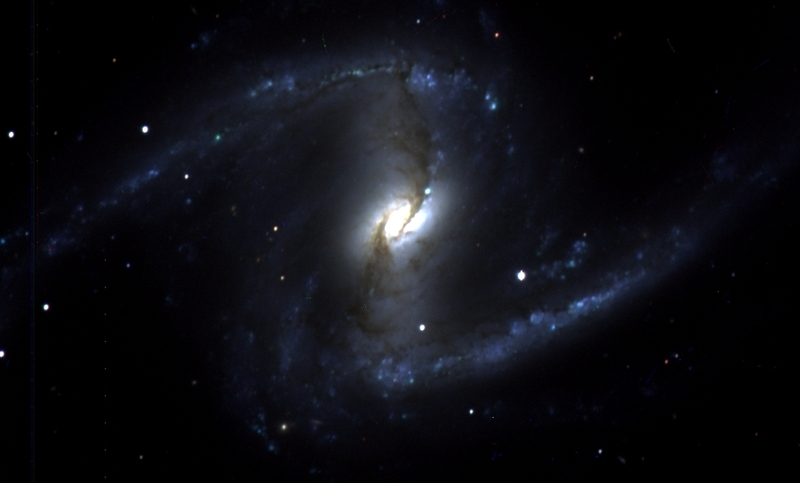 One of the CCDs captured this image of NGC1365 in the FORNAX cluster. The image was made by me using ds9. The following corrections were made: gain difference correction in the two halves of the CCD, the dark frame was subtracted out using a quick IDL code, and the image was corrected for the flat field. Some residual noise remains. I used astrometry.net for WCS corrections.